There are so many up-and-coming and local musicians that I have had the pleasure of seeing live and supporting over the years since 2009. Not many have made the jump to national and international fame faster and bigger than Rachel Platten who was born and raised in New York City. 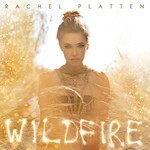 She released her new album called Wildfire earlier this year, and her album have just been certified Gold by RIAA. Her latest album is also currently listed on the Billboard 200 for the past ten weeks and peaked at #5 in the upon release week. Her first two singles off her latest album, respectively, called "Fight Song" and "Stand By You" both peaked in the Billboard's The Hot 100. The Fight Song is her anthem song release almost a year before her Wildfire album. This song did so well to help Rachel reach her fame as we know her today, and this song certified 3x Platinum by the RIAA. Her Fight Song can be heard all over the radio, commercials, ads, movie background music, soundtracks, and even at sport events. Her song is even being used as U.S. Senator Hillary Clinton's unofficial song used during her 2016 Presidential campaign. Rachel's professional music career started back over a decade ago, and it was a struggle for her to get her name and her music out to be heard and known. She had the talent; she had the skills; she had the music, but things just didn't fall into place smoothly. It was a perfect fitting that her biggest single hit song is called "Fight Song" because it was definitely a big fight for her to reach where she is today. Prior to making her famous, well-known, and being signed with Columbia Records, she was like any other up-and-coming artist singing at small venues and coffee shops just along east to northeast coast of the country. Her previous/second album called "Be Here" was released years ago but struggled to meet the expectations of her old management and smaller record label. It wasn't until last year, 2015, when things changed dramatically and for the better. She was just at the right place and at the right time where all the pieces of the puzzle just started to fall into place one right after another. People started to take her music and her as a musician more seriously. Now, she's having her first major headlining tour traveling all over the United States and cities around the world to perform at venues that can hold thousands to tens of thousands of fans and even selling out many of these shows. One of those stops is the sold out show in Washington DC at the 9:30 Club. Now that you understand a bit better where Rachel came from and how she got to where she is today, I'd like to dig up some personal opinions on why I feel Rachel has achieved so much and what makes me a continued supporter of Rachel. I've known Rachel and have supported her and her music since her early shows back in 2010. I have seen her perform numerous times before her rise to fame post Fight Song. This was way before Taylor Swift even knew who Rachel was. 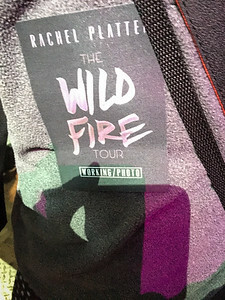 Before the Wildfire Tour, I've seen Rachel perform a total of four times. All of these shows took place at Jammin Java in Vienna, VA. Her toughest show had to be her first show at that venue back in June of 2010. That show consisted of Mikey Wax headlining with Rachel opening for him, and another artist Nick Howard opening for Rachel. I initially went to this show for Mikey and not Rachel. The show only had no more than six to eight people show up. That show itself was actually great even though the turnout was not. When I first saw Rachel perform, I knew there was something special about her. It was one reason why I continued to support and continued to come back to see her perform live each time she came back to Jammin Java. What also made this show ironic is that even though the turnout was low, all three musicians eventually got signed with a record label. Of these three, Rachel became more well known around the world. The second time she performed at Jammin Java in May of 2011, it probably would be more memorable and foreshadowed the fame she has today. 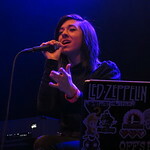 It was her album release tour for "Be Here", and one of her singles "1,000 Ships" started to get radio play in limited cities. Before performing this song, she mentioned that her 1,000 Ships song can be heard on some radio stations now and attempted to ask her fans watching at the show to scream really loud, kiss the person next to you, or even take off your shirt to make it seem like she's really famous. It was a very entertaining performance , and you can see that clip below for yourself. By the time she returned for her 3rd and 4th show performances at Jammin Java in 2012, she was able to get her name out to more of an audience since she wrote the theme song called "Work of Art" for the TV series called "Jane by Design" on ABC. Unfortunately, the series only lasted for one season, so Rachel's TV theme song fame didn't last long. One thing was evident is that each time she returned to DC at Jammin Java, her fan base and supporters continued to grow. I don't want to go too much details of past reviews, but you can read more about each of them by clicking on the images below to the corresponding blog entry. 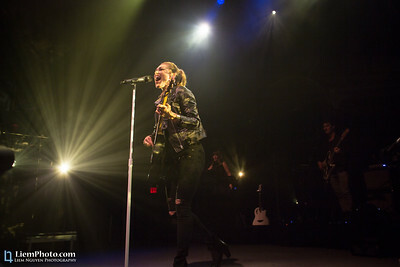 Not long after her last tour in the Fall of 2012, Rachel decided to have a break from touring and performing at shows to reflect on her career and writing new music. It was sad to hear her announce because it was such a pleasure to always see Rachel return back once in awhile to perform. It was also understandable because having a career path in the art of music can be extremely tough, if you are not meeting your goals and making some sort of money, it would be hard to pay bills and make a living. A few years pass, and Rachel comes back from her hiatus, and she returns to Virginia to play at a house show in Falls Church. This would have been one of her last small and intimate shows in the area as we know the story of where she is today. It was a show I was planning on going, but something came up and I was not able to make it. It was a show I have always dreaded and disappointed that I missed because no one expected what happens next to Rachel's life and career. 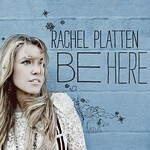 By now, everyone knows who Rachel Platten is, and that's all thanks to the success of her single "Fight Song" with the huge support from other big name artists, fans, radio stations, her record label, the whole entertainment segment was on Rachel's side. Even herself, Rachel, could not fathom the how popular she has come along with her music. What's great is that with all the fame that has come, she has continued to try to stay as down to Earth as one could expect out of an national and international musician. She continues to bring and work along with her long time drummer, Craig Meyer. He's also another guy that brings great energy to her shows since he puts so much of his emotions and energy into each song Rachel performances. After seeing how famous she has become, I thought to myself, I probably won't ever get to see and meet Rachel again. Long and behold, Rachel announces the release of her latest album Wildfile along with a tour to a long list of cities in the U.S. and around the world. I may not get to see her as much anymore, but I'd be damned if I don't see her at least one last time after the rise to her fame. So that's what I did, she had VIP meet and greet tickets, and I just had to get it. 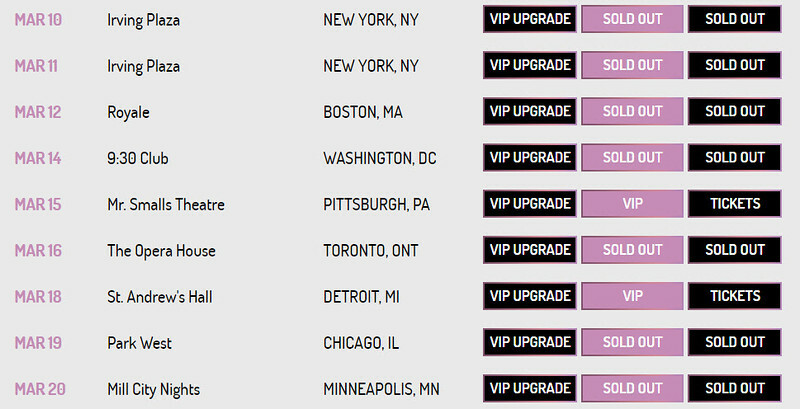 I stayed close to my computer and logged on the second pre-sales for VIP tickets was available for sale. I wanted to see her one last time to congratulate her on her long and rough ride since where she started.. performing just 53 steps from her apartment in NYC. My only concern was trying to contact her management to request for a photo pass since I've always took photos and video at her shows. I sent out an email, but there was no response. That's okay though, my main objective was to just support her by being there to see her perform in a much bigger crowd and meeting her just one more time. 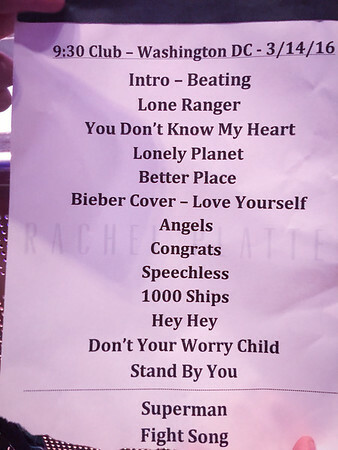 Rachel's show was at 9:30 Club in Washington DC was on Monday, March, 14th--a regular weekday evening. So, it's typically a show I don't go because of traffic driving into the city after work, but this is for Rachel Platten, I felt it was worth going to. A few weeks before the show, I forgot to buy parking passes at the venue, which unfortunately, but not surprisingly, was sold out. I had to do some research and was able to find a parking lot near by that wasn't excessively expensive that allowed me to park from 4 pm until midnight. This was nice because I didn't want to have to worry about paying for metered street parking or not able to find any parking when I arrived. Now I was all set--I got the parking, I got my general admission ticket, and I got my VIP ticket. A few days before the day of the show, I got an email to discuss details of the VIP game plan. There was great news; it said the meet and greet with Rachel was before the show rather than afterwards. This gave me an opportunity to ask Rachel or someone in her team for a photo pass since I never received a response back from her management. So, I was hopeful for this opportunity, but at the same time, I would also understand if they declined. Rachel is so famous now, so her management has her best interest, image, and safety at heart. I wouldn't be upset or disappointed if I wasn't able to take photos of Rachel at her show. On the day of the show, I planned to leave work early at around 3:30 pm to ensure I avoid traffic heading into DC as well as try make it to the parking lot around 4 pm. After parking, I made my way to the the venue to stand in line and surprisingly I was only the fifth person in line. Typically for a sold out general admission standing show like at 9:30 Club, you usually see several dozen people already lined up several hours before the door open. Not this time. Around 6 pm, Rachel's VIP coordinator and representatives come out to pass out the VIP wristbands and take everyone into the venue to await for the meet and greet to start. It was a good thing we got to go in earlier than when doors suppose to open because it was a chilly evening and it was drizzling. Not long after entering the venue, we are taken to the balcony level to line up for the meet and greet. As I wait, I had so many things going through my head and figuring out what to say without forgetting since it seems like the meet and greet will be fast paced so the show could start. One of the things I wanted to ask was, as mentioned, if I was able to get a photo pass, so that I could take some pictures of and for Rachel like I did in past. While everyone else in VIP was waiting to meet Rachel, I decided to take this opportunity to talk to and reintroduce myself to Craig Meyer, Rachel's long time drummer and now also her tour manager. I had a feeling he wouldn't remember me, since I didn't get a chance to talk to him in past shows. I mentioned to him how amazed at how quickly Rachel got famous and how lucky I was to be one of Rachel's long time supporters. Then, I asked him if it was possible to receive a photo pass to take pictures. It would be pictures that she could possibly use for her own promotions. He graciously got me a photo pass so that I can shoot photos for the first three songs. Oh how thrilled I was and how thankful I was. Finally, I was up, and the last person, to see Rachel at the meet and greet. I slowly walked up to her and said "Hi Rachel," and follow-up with my million dollar question I've been waiting to ask after her fame, "How are you? Do you remember me? It's so great seeing you again!" Waiting for her to respond and hoping she does remembers, she happily and without a doubt said, "Of course, I do! You're 'Liem' right? How can I forget the person who wrote my first blog ever!" I was so thrilled and surprised that after all those years and after seeing thousands and thousands of fans, she still has a spot in her mind to remember me, and by name. I was telling her how happy I was for her and knew that there was something special about her since the first time I saw her perform. And now, the whole world is able to see what I saw. I then asked her to sign a picture from the last time I saw her in June of 2012. Then, her VIP coordinator took a Polaroid photo of us for her to sign. After all that, I completely forgot to get a picture with her from my own camera, but it's okay. I was completely satisfied with how the evening is going so far. After the meet and greet, the whole VIP group head back down to get your spot to watch the show before everyone enters after doors open. The show starts just before 8 pm with musician Christina Grimmie performing first. She is a YouTube musician turned famous better known from one of the finalists in the sixth season of the singing talent show on NBC called The Voice. Her beautiful voice during the blind auditions turned the chairs of all four coaches on the show. Christina had the option to choose her coach on the show and decided to be part of Team Adam Levine. 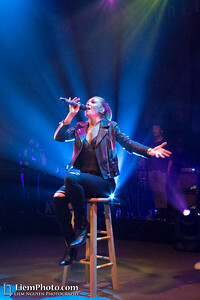 Her set lasted for about half an hour, and she sang a few of her originals as well as a few of her best known covers, such as, "Wrecking Ball" by Miley Cyrus on The Voice. 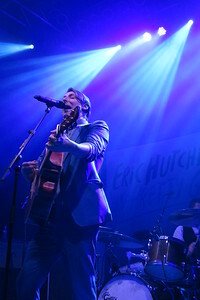 After Christina finished her set, the second opening act for the night, Eric Hutchinson, came on stage to perform. I don't know much about Eric, but a lot of people came to see him perform. Throughout the whole night, the crowd was extremely loud and into every single performer. The highlight of his set is probably when he performed a song which I can't recall, but it required the participation from the crowd by turning on their lights on their cell phones and shining it on Eric and his band. 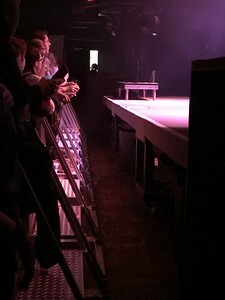 To make it even more intimate, Eric went right into the middle of the crowd to sing his song with everyone from the floor and the balcony shining the lights from their phones on him creating a starry lighting atmosphere. He and Christina made a great opening duo to rally up the crowd and warm them up for Rachel's set. Everyone was singing, dancing, jumping, and putting their hands in the air. After Eric finishes his hour long set, the crowd and I wait for Rachel to take the stage. Just as Eric finished his set, I made my way from the front row through the crowd to prepare myself to get into the pit in front of the stage to take photos. As I wait for Rachel to get on, I double check the settings on my camera to make sure I don't waste anytime during the first three songs to shoot as many photos as I can in hopes to capture good shots. I quickly realize that I am only one of three photographers with the media pass to be in the pit. The other photographers are for DC's radio station mix 107.3 FM. 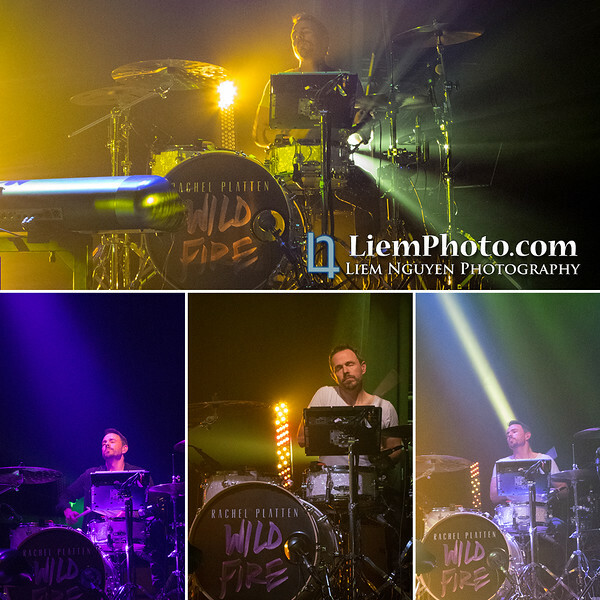 What's really cool is that they actually caught me in action in some of their photos. Some can be seen on their website. Click here to see them. The moment finally hits and Rachel's band comes out first followed by Rachel herself. 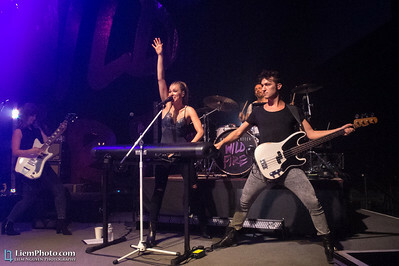 She starts off performing "Beating Me Up" and the crowd goes wild like a "wildfire". Her set lasts for also about an hour. Throughout the show, Rachel reminds everyone how much DC means to her because of her up and down fan base struggles in DC, but that has changed now. As the crowd continues to scream and yell and sing along to Rachel's songs, she becomes more and more overjoyed with the feeling that finally made it in DC. It's such a great sight to see how much has changed from just a few people attending to a sold out venue. One song and performance I want to highlight in Rachel's performance this night was the song called 1,000 Ships. I didn't expect her to sing that old song of hers, but I was glad that she did. If you recall earlier in my blog I talked about this song she sang at her older shows. Before she sung 1,000 Ships in that old show, she mentioned, she wanted to pretend she was really famous by asking the everyone in the crowd to "kiss the person next to them, take their shirt off, or just yell really loud". Now that Rachel is famous, for real famous, I wanted to do that for her, "take off my shirt" during this evening's performance of 1,000 Ships as an inside joke, but with no one probably understanding, I would probably get kicked out of the venue. See Rachel sing 1,000 Ships this evening from the video clip I took below. After her last song, "Stand By You", she thanked everyone in the crowd before Rachel and her band left the stage. The crowd demanded for an encore, they yell and scream Rachel's name and also yelling "encore" on the top of their lungs. Of course, Rachel doesn't want to disappoint, she comes out and finishes the show with not one but two encore performances. Was it really an encore though? Everyone had to know she had to end her show with the song that got her to where she is today, the "Fight Song". Before Rachel finishes her last encore performance, she gets emotional again because everyone in the sold out crowd is singing along to her song. To this date, Rachel still can't believe how famous she has gotten. I was able to get a picture of her setlist from the DC show, so this is what you can pretty much expect from her Wildfire tour. Majority of her songs came from her latest album "Wildfire", with a few covers, and an old vintage song from her "Be Here" album. At the end of the show, nothing really happened too much other than the venue quickly cleaning up, so they could close down the place for the night. 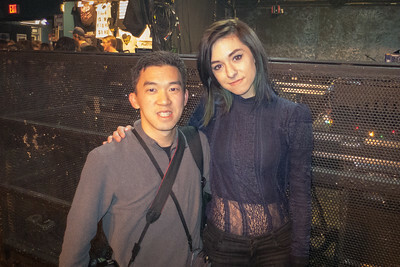 I was able to take a picture with Christina Grimmie before leaving. The reason I stayed behind was I wanted to find and look for Craig to ask him how I could be in contact Rachel or him to share all the photos I've taken. Craig finally re-enters the stage after a while, and we were able to talk a bit and was able to find a way to send along the pictures once I have finished editing them. At the end of the day and the takeaway from the show, Rachel had a successful and very entertaining show for DC. It was definitely worth the drive into the city and worth the VIP ticket purchase to see Rachel probably one last time as she continues to get more famous. If you are on the fence about going to Rachel's show, I advise and recommend you to definitely go. Rachel is not just an entertainer, but she's also an artist, a songwriter, and has a great on stage presence. Since center stage is much bigger and she has a bigger crowd, she's entertaining, and she has definitely stepped up her game to perform on stage. She's also the sweetest and most down to Earth person. You won't be disappointed. 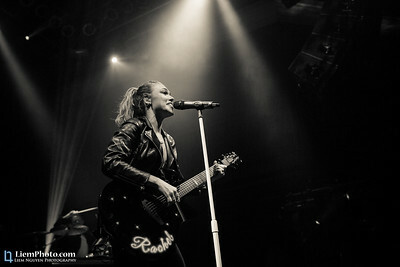 To see all the photos taken of Rachel at her show performing at 9:30 club, click on the link below the photo slideshow to view pictures from my website or my photography Facebook page. How else can I thank Rachel Platten, Craig Meyer, and her band for coming to DC and performing such a great show and a memorable night for me. I can now say that I've seen Rachel's music career go a full circle. I wish her the best luck with the rest of her tour as well as whatever her future holds for what seems to be a bright music profession future. If you’re interested to know more about Rachel Platten and would like hear more music by her, please do check out her website and social network pages below. As always, go out and support Rachel by going to her shows and buying her music.